Pan-democratic lawmakers have expressed indignation at being asked to fill in an application form to be a guest at a dinner with a top Chinese official. Many have stated they would boycott or protest outside of the event, organised in honour of the National People’s Congress Standing Committee Chairman Zhang Dejiang. Zhang is due to arrive in Hong Kong next Tuesday and will be attending a summit on the One Belt One Road initiative at the Hong Kong Convention And Exhibition Centre the next day. The summit will be followed by a banquet at the Convention Hall. 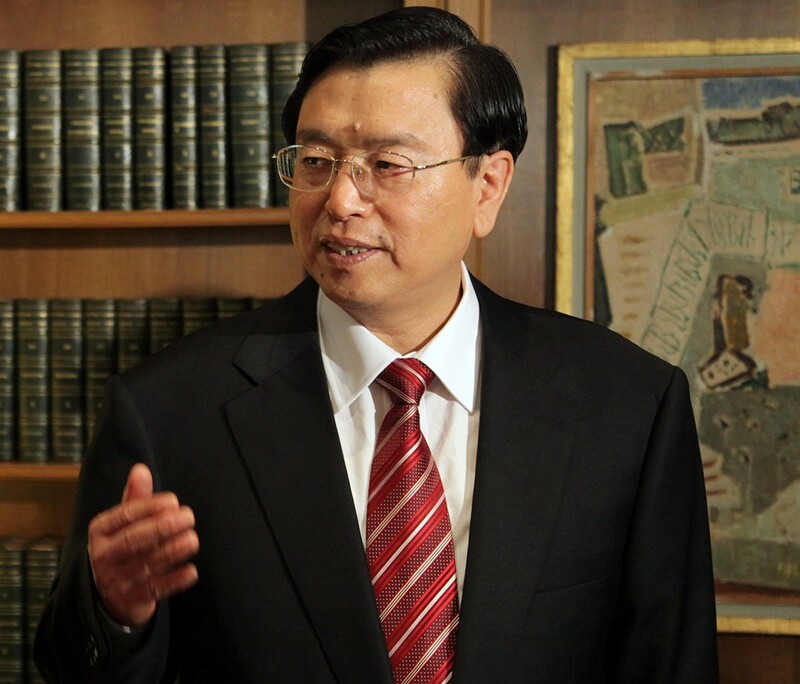 NPCSC Chairman Zhang Dejiang. File Photo: Wikicommons. Lawmakers were appalled that the invitation included a “guest accreditation registration form”, which asked for the guests’ personal details such as ID card number, as well as a passport picture. Fernando Chiu-hung Cheung 張超雄 via Facebook. 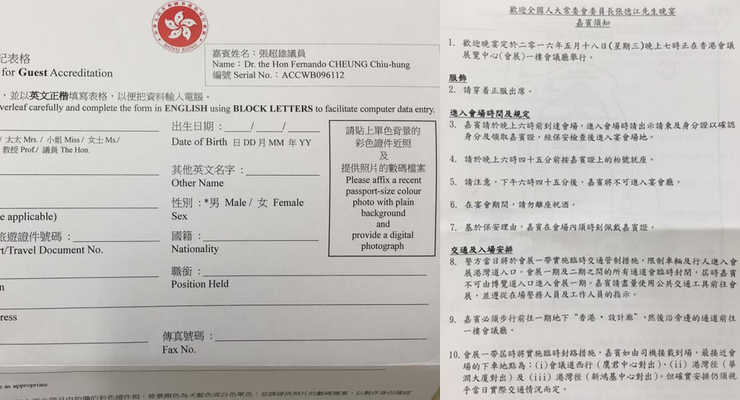 “Utter absurdity: CY Leung banqueting some [Beijing] person named Zhang Dejiang asks invitees to reply with personal [picture], ID/passport number etc. Any consenting guest? Self-deprecation!” Civic Party legislator Claudia Mo said on Facebook on Tuesday evening. Labour Party’s Fernando Cheung Chiu-hung expressed similar sentiments. “Have you ever had anyone invite you to a dinner, but then asks you to first fill in an application form, attach a recent colour photo, and tells you not to leave your seat and give toasts during the banquet?” he asked on Facebook on Tuesday. Guest registration form & dinner regulations. Photo: Fernando Chiu-hung Cheung 張超雄 via Facebook. 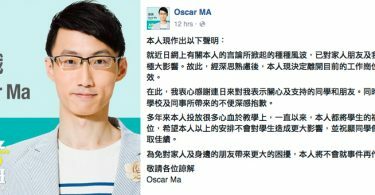 “I wonder if [CY Leung]’s daughter was asked to fill in any forms like these when she asked airlines to help her take her bags through the gate?” People Power lawmaker Albert Chan asked. 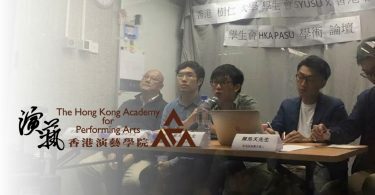 Another legislator from the party, Ray Chan Chi-chuen, said that the pair would be boycotting the dinner and organising protests outside the venue as the invitation was “disrespectful”. He also criticised the proposal of ending the day’s Legislative Council meeting early to allow lawmakers to prepare for the event. The Labour Party and Civic Party stated that they will not turn up to the banquet, while the Democratic Party is expected to reach a decision on the issue on Wednesday. 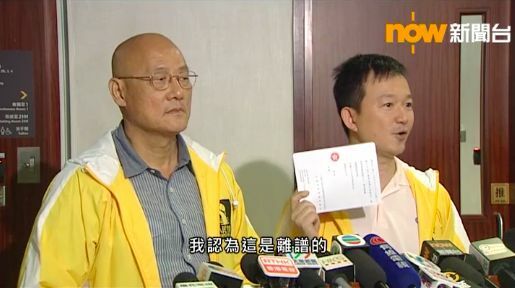 NeoDemocrats lawmaker Gary Fan Kwok-wai also said he will not be attending the dinner. People Power’s Albert Chan and Ray Chan. Photo: Now TV screenshot. 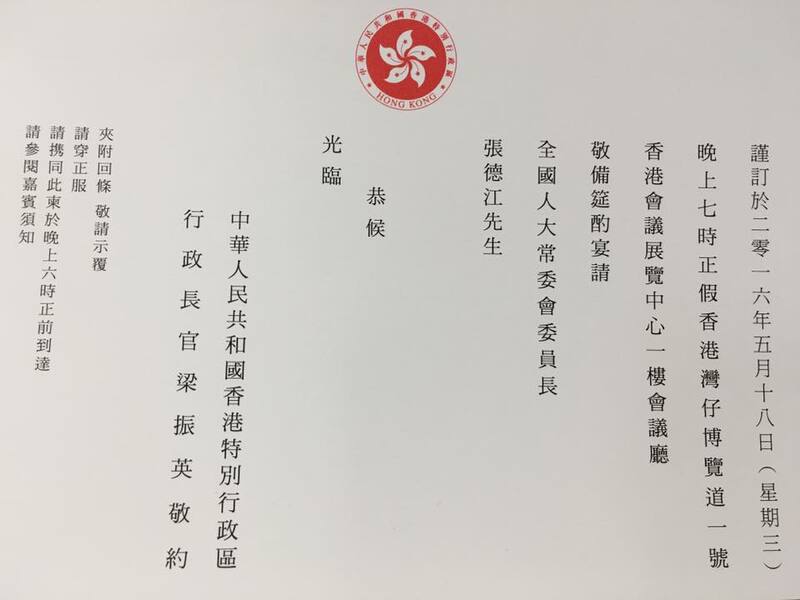 All Legislative Council members aside from Wong Yuk-man and League of Social Democrats lawmaker Leung Kwok-hung have been invited to the banquet, Now TV reported. The Chief Executive’s Office said that order and security considerations were taken into consideration when issuing the invitations.